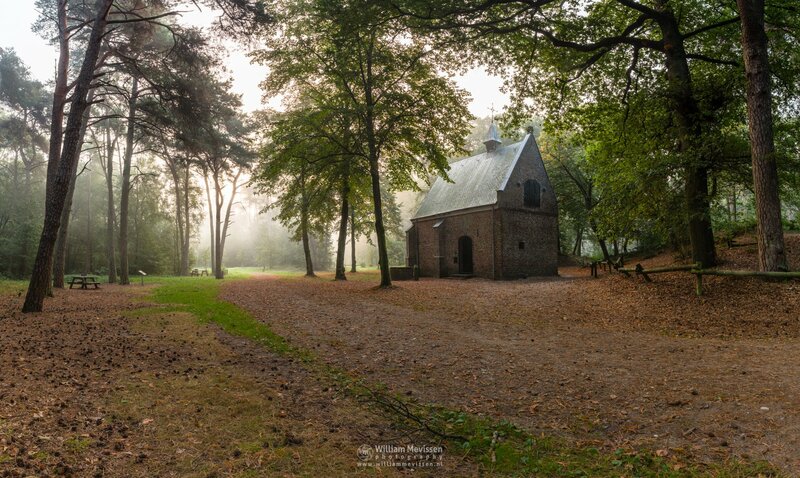 A misty autumn morning at the Willibrorduskapel in the forest of estate Landgoed Geijsteren (Venray, Netherlands). The dog stopped for a moment to see what I was doing :) The Willibrordus chapel from around 1500. Beside the chapel is a landmark and an ancient well. 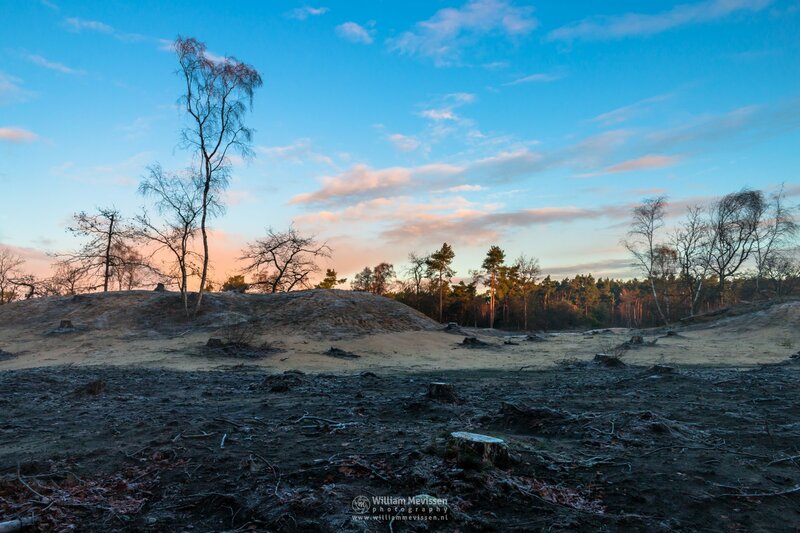 Click here for more information about photo 'Panorama - Willibrorduskapel'. This is a HDR panorama of 2 rows of 7 vertical shots with each shot at 3 different exposure levels merged together in Lightroom. Expand photo and move mouse or swipe to left or right. 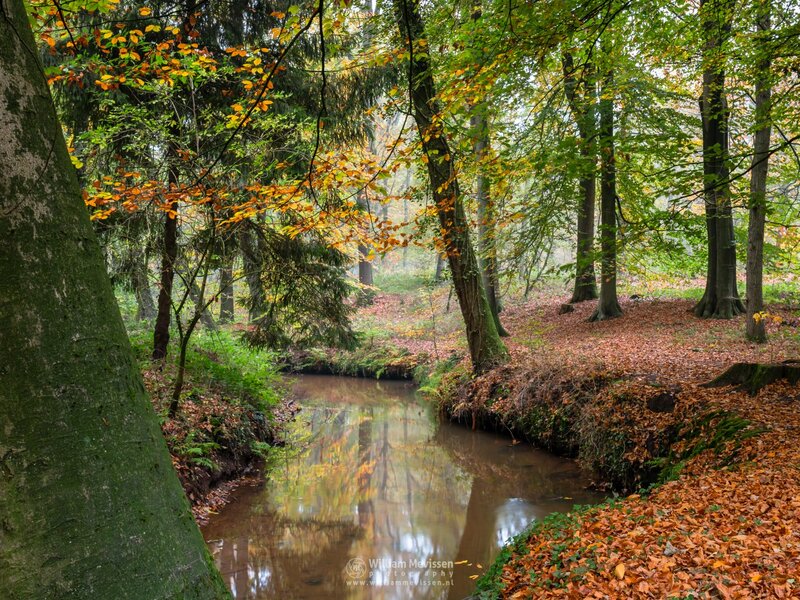 A misty scene near the watermill Rosmolen at nature reserve Landgoed Geijsteren (Venray, Netherlands). 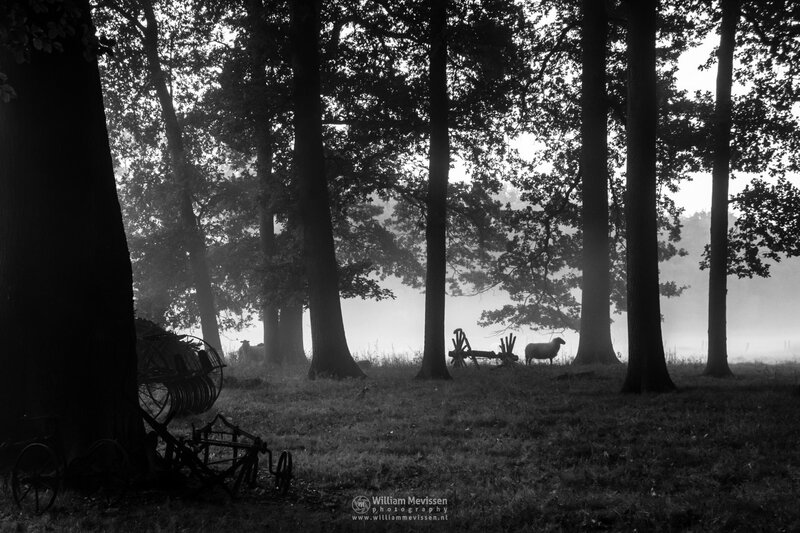 Click here for more information about photo 'Misty Scenery Rosmolen Geijsteren'. 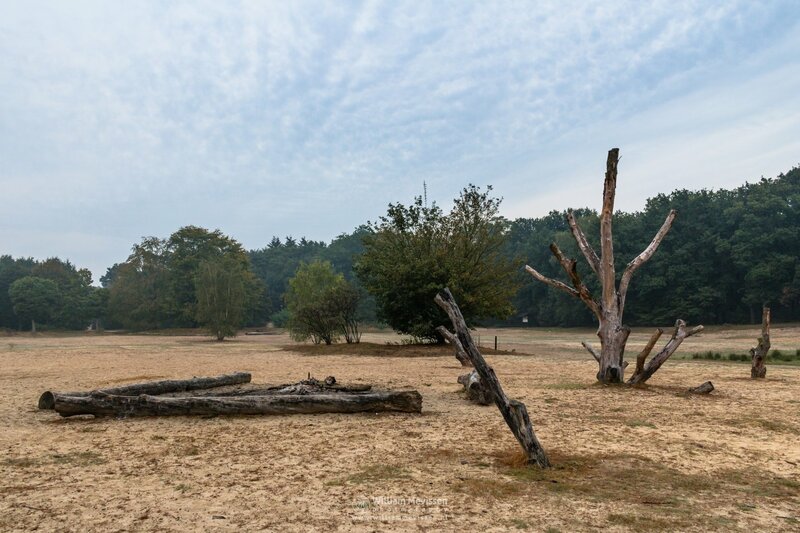 Blue Dots, prunings and stacked tree trunks in the pine forest of estate Landgoed Geijsteren (Geijsteren, Noord-Limburg, Netherlands). Click here for more information about photo 'Blue Dots'. 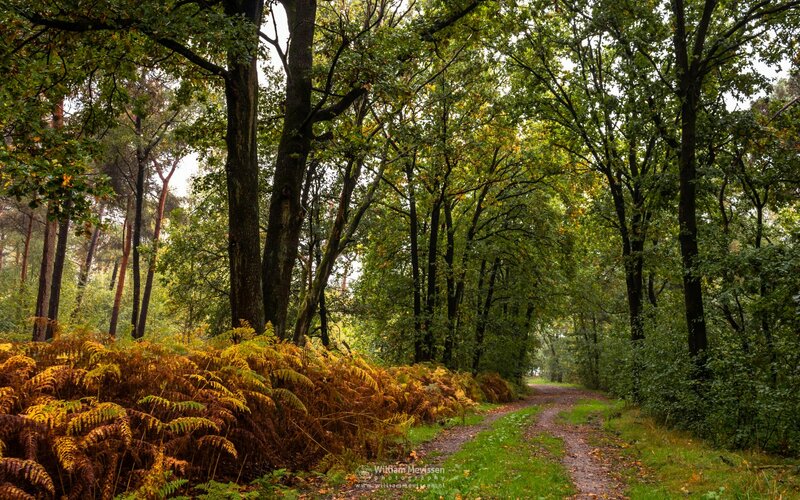 Forest Path on a misty autumn morning at nature reserve Boshuizerbergen (Venray, Netherlands). 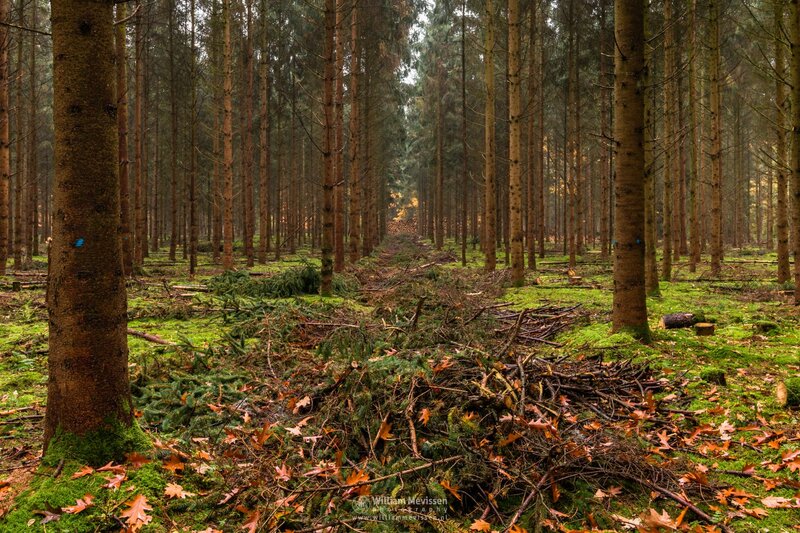 Click here for more information about photo 'Forest Path'. Pas Op! �Schrikdraad� (Warning! 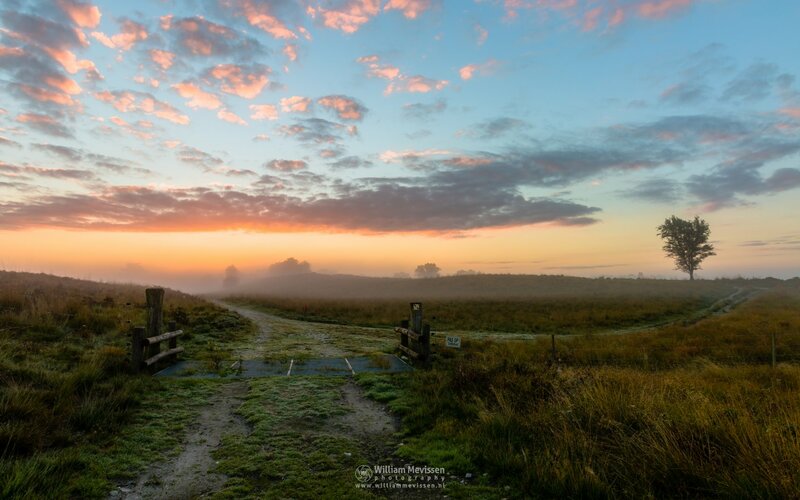 �Electric Fence�) sign during a misty sunrise at Estate Landgoed De Hamert part of De Maasduinen National Park (Wellerlooi, Netherlands). Click here for more information about photo 'Pas Op! Schrikdraad'. 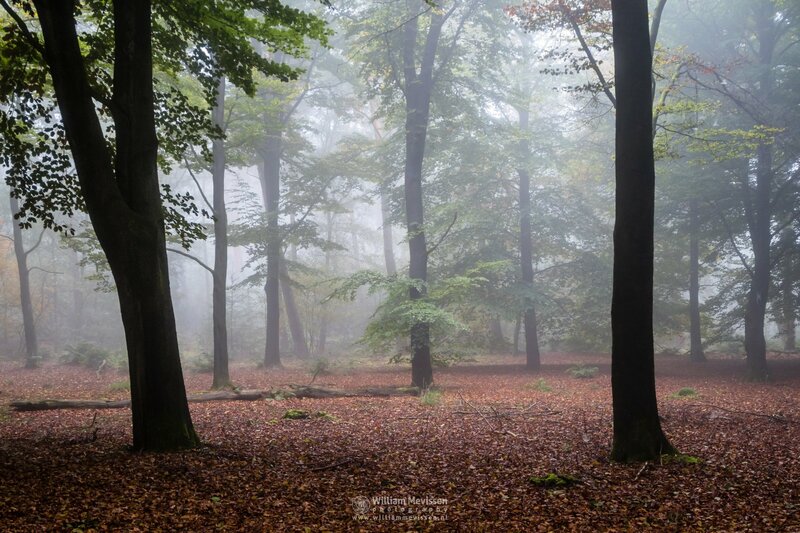 Beech trees in the misty forest Ballonzuilbossen near the village Merselo (Venray, Netherlands). 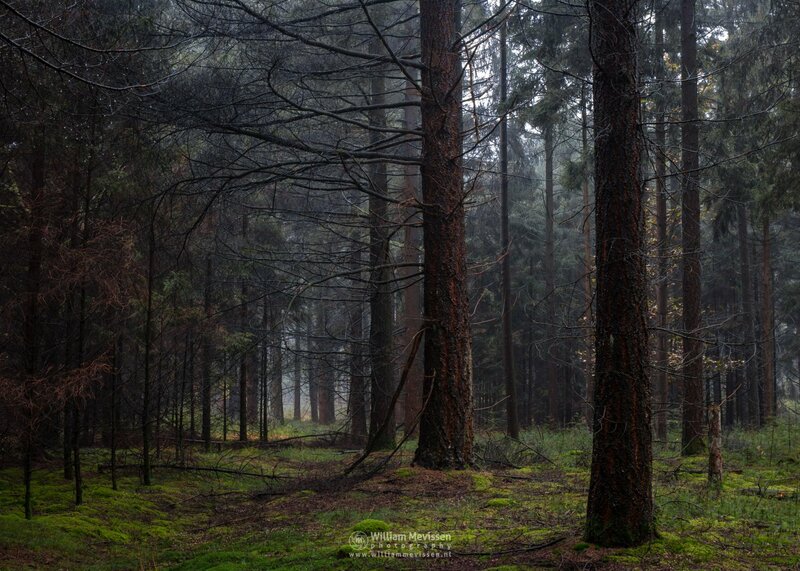 Click here for more information about photo 'Misty Beech Forest'. 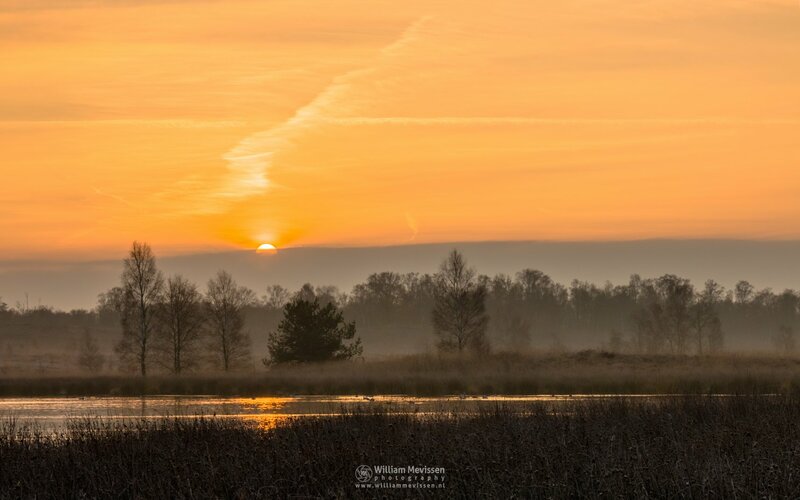 A frozen sunrise on a cold misty autumn morning at nature reserve Bergerheide, part of National Park De Maasduinen, Nieuw-Bergen (Netherlands). 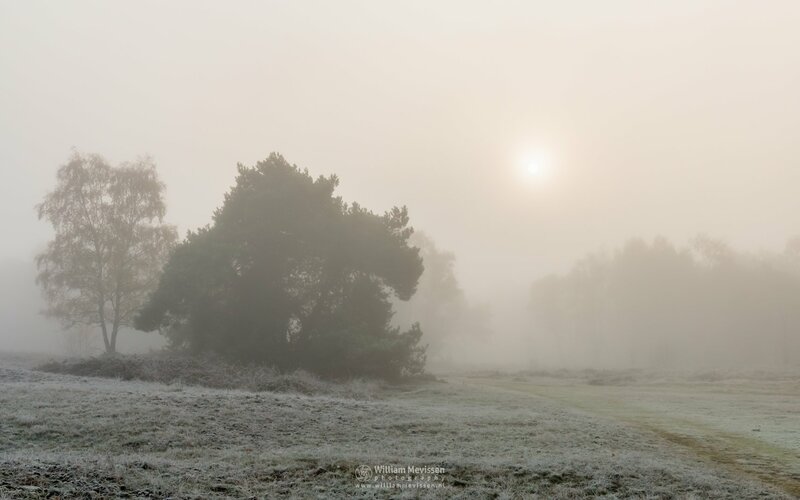 Click here for more information about photo 'Frosty Autumn Sun'.